I already got used to quick changes and the suitcase packing situation. After 3 months on the USA with more than 120 flights this year, I actually enjoyed the quick stops in a city the most. I already have been to Amsterdam a few times but never had the chance to discover it as a "tourist". 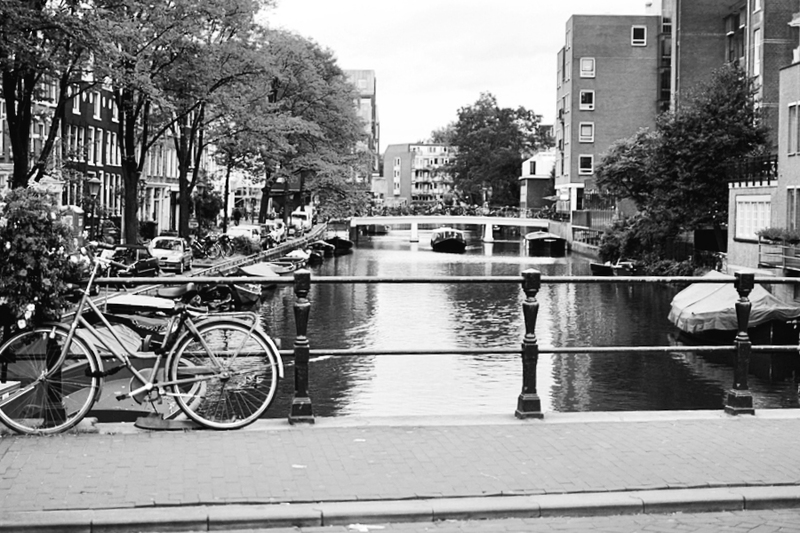 In today's article I'm sharing my 24 hour trip to Amsterdam with you guys.. Some might wonder why I only spent 24 hours in Amsterdam. The reason is actually that I had a layover in Amsterdam before continuing my travel to Panama for a new editorial travel (#mbf_panama). I quickly decided to make the most of my layover and organized a quick city trip. Instead of spending the night at the airport I had the pleasure to discover the Citizen M hotel, which is only 5 minutes with the train to the airport and still very well located. I already had a stay at the Citizen M in Rotterdam and was more than excited to also discover the house in Amsterdam. Not only that Amsterdam is a very exciting city, also the Citizen M is very modern and casual flexible. Especially for globetrotters like me the hotel feels like a second home. Instead of boasting with expensive interior and useless items the room has a very clean design, featuring a huge bed and a great view. Also the design of the building itself is very impressive and raised my interest immediately. The check in was super easy. No queue, just a computer which is making the check in as quick as one minute to have a fast room access and a great rest after a long day in the city and the arrival after the airport. I also made it through the city center of Amsterdam. I always fell for the architecture of the city itself. Every building had a staircase that looks like scenery of a New York movie or series. It might be a hype but the entire city vibe feels so welcoming and home. It is always a comfortable travel and feeling to come back to the Dutch city. While exploring the city I was also looking for vegan food options and found the hummus house. A very fun fact about me is that I love everything that is topped with hummus. This obsession even increased due my travel to Dubai this year and made it up to its own love story. Almost the whole menu at the hummus house is vegan. Not only that the food is plant based, also it is very healthy and delivers essential parts for a well balanced nutrition. The food was super fresh and I really enjoyed this hot spot restaurant which is discovered though my strolling in the streets. Especially on travel it can be a true struggle to have healthy food. Also the pricing is reasonable and I can well recommend the hummus house for further visits [KORTE LEIDSEDWAARSSTRAAT 62 1017RD AMSTERDAM]. It might be interesting that they're known for the best hummus in town. Within the city there's a lot to discover. Amsterdam has very interesting food and also very interning citizens with a nice sense for fashion and a cool style. Shopping is "a big thing" in Amsterdam. The shops are endless and the whole setting makes it a perfect moment. What I always value as very impressive are all the rivers and bridges all around the city which spread a very artistic look. Back from a healthy lunch in the city, I discovered more of the citizen M hotel. The bar and lobby are a cool get together for your people to interact. Also there's free wifi in the whole hotel to always stay online and to be updated. My rest and sleep at the hotel has been a pleasure. With a huge double bed in my room I felt like sleeping on the clouds I just saw a few hours ago in the plane. The room had the perfect size and offered everything needed. Especially for a stop as I had it. Also each room is provided with a tablet, which offers full control about the blinds, so as brightness and color of lights. Moreover there's a huge media selection of movies and series, so as live TV. On the next day I started into the day with a big breakfast. 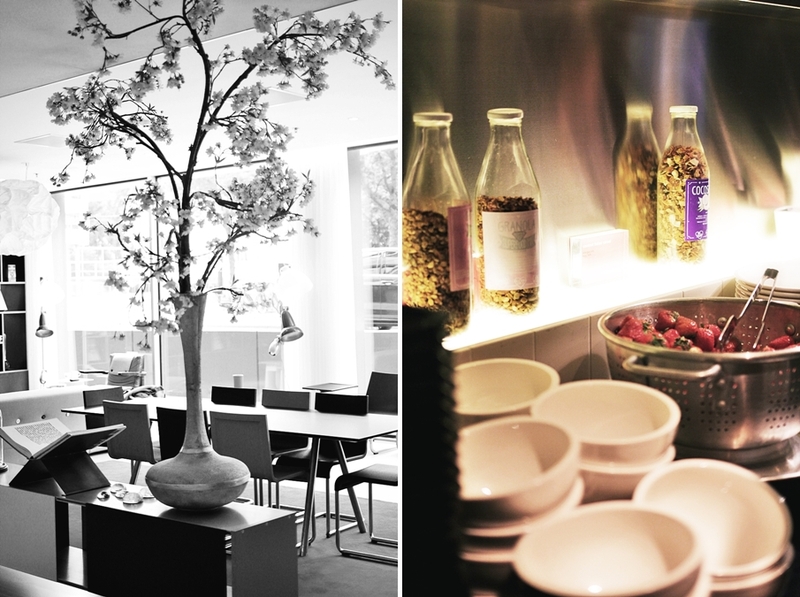 The citizen M offers a daily breakfast buffet with fresh fruits and suitable options for specials diets like vegans. The check out at the hotel has been as easy as the check in, without queuing. After the quick check out I already headed to the airport. The train station is only a 10 minute walk and a 5 minute train ride to the airport. It might only have been a quick stop but it was fun and I'm already excited to discover more of beautiful Amsterdam on my next trip. Sehr cooler Beitrag und tolle Bilder. 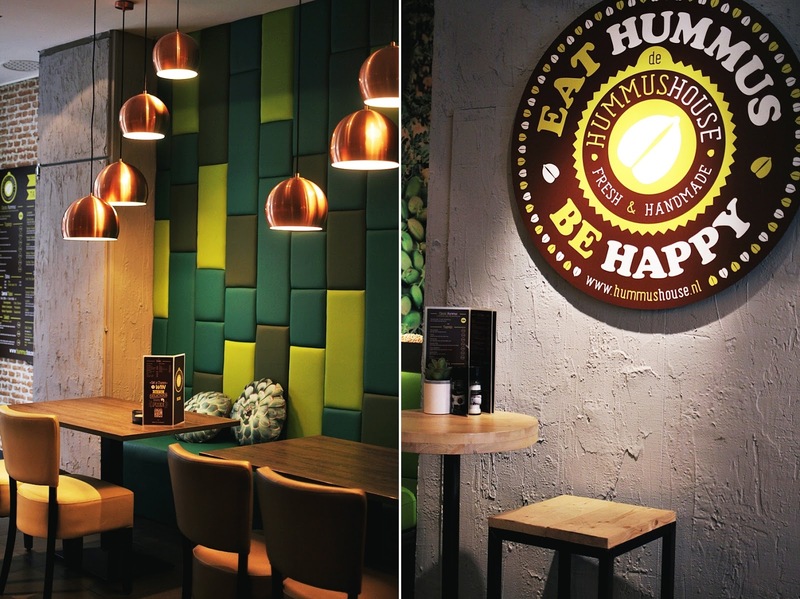 Wir wollen auch bald mal wieder einen Trip nach Amsterdam machen und da passt dein Tip mit dem Hummus House sehr gut.